iPhone sales hit 77.316 million units in Apple’s 91-day Q1 FY 2018 quarter. That compares with 78.29 million sales in the year-ago quarter. You’d imagine those figures meant that sales shrank, but it’s not the case: Last year’s quarter extended over 98 days (14 weeks), while this year Apple saw a more traditional 91-day (13-week) quarter. That means Apple sold around 849,600 iPhones every day in Q1 2018, in contrast to 798,877 iPhones it sold each day across Q1 2017. In other words, Apple is selling 10 iPhones every second of the day, at least, it was in Q1 2018. If Apple had seen an extra seven days in the quarter and if sales maintained at that momentum, the company would have sold an additional 5.95 million iPhones (rounded up), for a total of 83.26 million units. All this within an environment of increased security tension and weak growth in key markets, such as May’s woefully mismanaged Britain. Apple CEO Tim Cook confirmed the success of iPhone X. The device was the top-selling iPhone every week since launch. It seems consumers are driven by innovation and aspiration more than price, after all. Though it will take some time before short-term investors and bean counters grow to understand how that undermines their working theories around greed and human nature. Apple’s decision to introduce iPhone X means it has been able to persuade consumers to spend a thousand bucks or more on a new smartphone this season. Apple’s average selling price on each iPhone sold climbed $100, from $695 in Q1 2017 to $796.42 in Q1 2018 to $796.42. Apple is generating around $8,000 in revenue every second on iPhone sales alone — just under half a million dollars a minute. (Apple is also keeping more of those revenues than it did last quarter, as gross margins climbed). Apple took pains to note that it now has a 1.3 billion-strong iOS user base. “We've also achieved a significant milestone with our active installed base of devices reaching 1.3 billion in January,” said Cook. “That's an increase of 30 percent in just two years, which is a testament to the popularity of our products and the loyalty and satisfaction of our customers." That user base subscribes to Apple services at a more rapid rate than before. And to help increase that rate, the company this week doubled the commission it gives to affiliates selling Apple Music subscriptions. It’s important to note the value of these services. Horace Dediu estimates that Apple generates 5 cents per device per day. It looks like the actual amount may be higher than that. With 1.3 billion devices now in use, those estimates imply Apple’s services generate around $65 million per day. Apple generated $8.5 billion in services income in the quarter, up 18 percent. 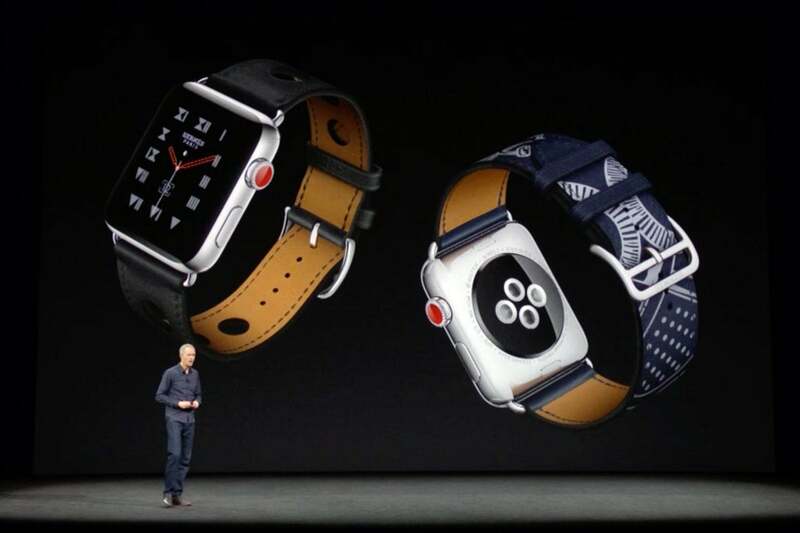 Apple also confirmed what I’d been predicting: Apple Watch sales were really high. The product saw its best-ever quarter, selling 50 percent more units with growth in every country. Apple also confirmed the success of the smarter smart watch: Apple Watch Series 3 sold at twice the volume of the series 2 products — which makes it crystal clear that consumers want and need the flexibility of using a wearable with its own independent connectivity, as I’ve been warning since 2014. Think about that as we see Apple’s wearables and new online services designed to support them proliferate across the next three years.